Are you looking for a one, two, or three bedroom apartment home for rent in Knoxville, Tennessee? Spring Meadow offers five layout options ranging from 525 square feet to 1,120 square feet. 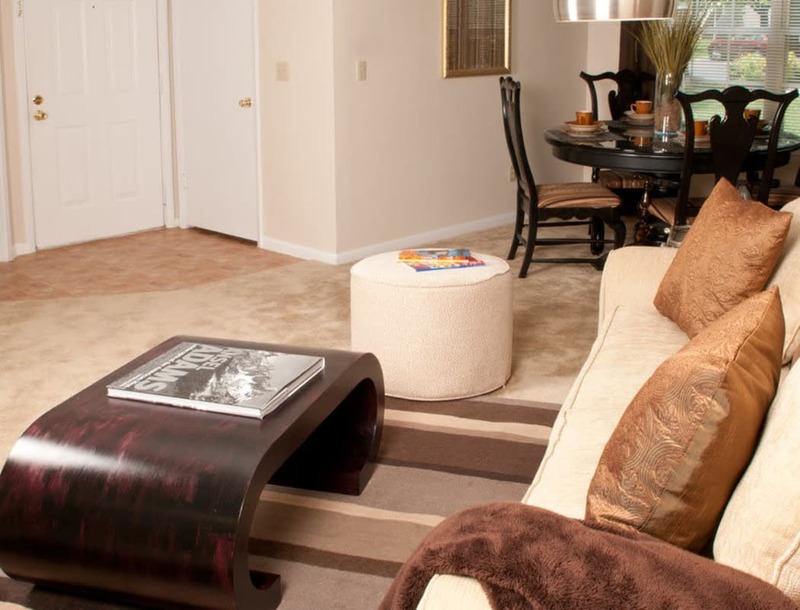 Spacious and welcoming, our apartment homes are a great value in a remarkable area. Enjoy conveniences like washer and dryer connections and air conditioning for those delightfully warm summer days. Vaulted ceilings in select homes create airiness and walk-in closets make organization simple. We are happy to offer a variety of floor plan options to suit a range of needs. Perhaps you are a couple who need a second bedroom for an office or a family of three — we have two layouts for you to peruse. If you require a bit more space, we can oblige. With two three bedroom floor plans on offer, larger families can find the space they need. Since ours is a pet-friendly community, note that there is often room for one more — a four-legged friend to share the comforts of Spring Meadow.